Best Camping Generator – Enough Power For Your Camping Needs! Enough Power For Your Camping Needs! 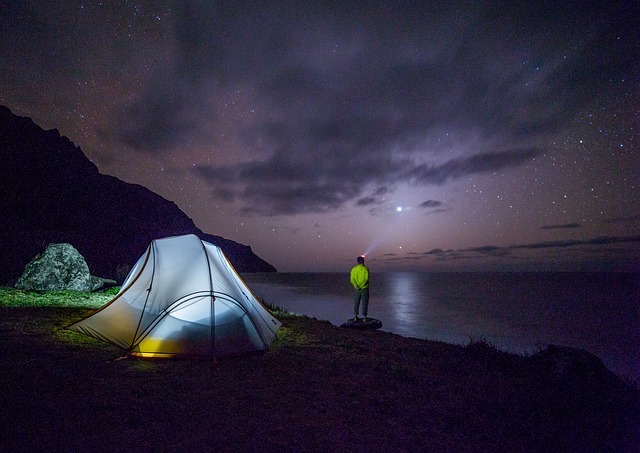 Perhaps the best way to get close to nature and unwind is to go camping, but this doesn’t mean that you should deprive yourself of all modern amenities that you are used to. In fact, some like a cell phone are essential for staying safe. To get the best of both worlds, you can readily use a camping generators. There are models which are designed for this purpose and have all the features which can match your needs precisely. The question is how to find them. Here you will discover a selection of the top sellers at present to help you pick the best camping generator for your needs. You will also get valuable advice on how to do this. One key thing which you need to do when you go shopping is to focus solely on the models designed for camping. There is no point in looking at the large units whose main purpose is to provide backup in case of a power outage. These are made especially for home use. Let’s get started with the search for the ideal portable generator for camping. Which are the best camping generators? Conventional portable generators can be good enough, but when it comes to camping, you are out in the nature, wanting to relax. Therefore, you need minimal disturbance for yourself. A generator with low noise which won’t bother you is a perfect companion for your camping needs. An ideal generator for camping should have enough power to run your important appliances, without the risk of any damage due to fluctuations. It should be light enough to carry easily, or with wheels making it portable enough. There is one pretty straight forward answer to this: the inverter ones. These units produce what is known as clean power. This is electricity with very low total harmonic distortion which is completely safe even for sensitive electronic devices that have built-in microprocessors like smartphones, tablets and laptops. The best camping generator should be portable, quiet and easy to use. Adding fuel and general maintenance should never be messy tasks. You should expect optimal performance and great durability from the unit that you invest in. When it comes to capacity, the best way to make a decision is to consider your individual power needs when you go camping. Another thing you should consider while buying a camping generator is its run time. It should be able to provide you most of the day’s power, enough hours at night when you need it. 7 to 8 hours of run time is ideal and easily available on most generators. Both generator models are 2000 watts. These are the best models available in the market. If you are looking for high power generator with more watts, both Honda and Yamaha make decent 5000 to 6000 watts generators. The only drawback with those is higher prices. Let’s check them out in detail. Thanks to its compact size, this generator will easily fit in your car’s trunk and in any campervan too. It measures just 21 by 12 by 19 and weighs 46 pounds. You will certainly have no trouble carrying the unit around, especially given the ergonomic handle. You will find that it’s easy and quick to get this generator ready for use. 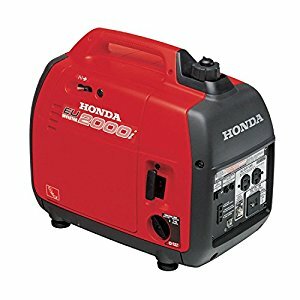 Honda EU2000I is rated at 2000 starting watts and 1600 running watts. This is sufficient for powering a bunch of small devices. The inverter technology guarantees that you will get clean power for running and charging any device, even if it has highly sensitive components. Don’t miss to check the mode’s features to decide if it could be the best camping generator for you. Recoil start It – works smoothly even on colder days and nights. Runtime of 8.1 hours at 1/4 load and 3.4 hours per tankful – You shouldn’t expect to refuel the generator too often. Noise level of 53 dB at 1/4 load – This model is fairly quiet compared to its counterparts. 2 AC outlets and 1 DC outlet – This makes the generator super convenient. Oil alert system – It helps immensely to protect the engine. This model probably has the sleekest design in the market with its curved edges and handle. It is also quite light with its 44.1 pounds of weight and very compact with its measures of 19.3 by 11by 17.9 inches. It can produce as much as 2000 watts of power and its running output is 1600 watts. You will enjoy clean power because of the inverter technology. You can watch TV or prepare food on a burner when you use Yamaha EF2000iSv2. If the capacity of a single unit isn’t sufficient for you, you can readily pair it with another one to get double the amount of power. You just need a twin cable to connect the two. Take a closer look at the features of the model to decide if it could be the best camping generator for you. Auto decompression and auto warm-up features – They make starting a breeze, regardless of the weather. 5 hours of runtime at 1/4 load – That’s more than impressive. 2 120V AC outlets and 1 DC outlet – You can power virtually anything that you want. Oil watch warning system – With it, you’ll always take perfect care of the engine. Noise level of 51.5 dB to 61 dB at 1/4 load – This is quite good. Why do you need a special generator for camping? You have sensitive appliances. Such as, laptop, routers, mobile phones, coffee machines, electric grill, etc. They don’t need to run continuously, but the output current needs to be consistent. Choosing Honda and Yamaha models mentioned will make sure your appliances and gadgets are safe. The main reasons include safety, comfort and convenience. When you have a portable generator at hand, you can charge your cell phone and keep it up and running. This is essential for getting help in case of an accident. You will also be able to use a rechargeable flashlight instead of having to keep spare batteries with you. While it is romantic to prepare food on the campfire, this method poses some limitations which you can overcome with a camping generator. It’s much easier to brew coffee or fry eggs on a small burner. It takes less time and effort so you’ll be able to focus on what’s really important – experiencing the adventure which the wilderness presents. The fact that you are surrounded by nature doesn’t mean that you cannot have modern entertainment. You can charge your tablet or laptop to play a game, listen to some great music or watch an interesting movie. After all, you are a digital-age person even when you are not in the city. Hopefully your buying decision for the best camping generator will be the one you will be happy with. Enjoy the nature, relax out there, and never feel the discrepancy. With enough power, comes great life. Keep the generator running! There is no better way to explore the great outdoors. Just imagine camping right on the beach and waking up to the view of the deep blue sea and the warm sunshine every morning. You can just walk out, lay your towel on the sand and relax. Forget about packing your belongings or having to wait in line to get a coffee. You can enjoy camping in the forest in the same way. There are plenty of activities which you can enjoy – from hiking to river and possibly lake fishing and kayaking. No matter which of the many available options you prefer, you can expect to relax, have fun and gather lots of positive energy. Camping is one of the least expensive vacation options and this is an important factor which you cannot ignore. Besides, there is little planning and a great deal of flexibility. You can just hop in your car and drive to the place where you want to spend a relaxing weekend or week. Affiliate Disclosure: This website may earn commissions from Amazon Affiliate Program on sales made through links on this page.